At about 6:50 p.m., Enrique Santana, 32, of Santa Maria was driving a 1997 Chevrolet pickup northbound on Highway 101 north of San Luis Bay Drive. Santana lost control of the truck and drove off the road and down an embankment. The driver’s side door of the pickup collided with a tree, according to the CHP. 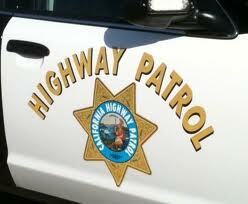 Both Santana and his passenger, Barbara Trigueros, 24, of San Luis Obispo suffered serious injuries. Trigueros managed to exit the vehicle, but responders needed to extricate Santana. It is unclear why Santana lost control of the vehicle, but neither drugs nor alcohol are suspected as factors. An investigation into the crash is ongoing. Authorities closed one northbound lane of the highway while emergency personnel responded to the crash.